an Early Adopter Program (EAP) for the new Gmail. Below you’ll find additional details on the EAP, including how to opt in, the related Admin console settings, and the implications of certain features. If you haven’t yet checked out our post on the G Suite blog, we encourage you to do so before reading the information below. There’s no need to sign up for the new Gmail EAP; you can simply turn it on in the Admin console. You can enable the new Gmail EAP for your entire domain or for specific organizational units (OUs) only. Please note that it may take up to a day for the setting to appear in your Admin console. After you’ve enabled the new Gmail EAP for your organization, your users will have the option to turn it on individually in their Gmail settings. 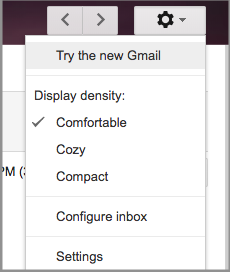 If they choose to, your users can continue to use the classic version of Gmail instead of the new UI. When we launch the new Gmail to general availability, you’ll have the option to force your users into the new UI. 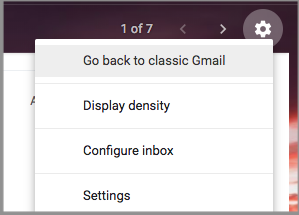 Note that if a user tries the new Gmail and wants to switch back to the classic version, he or she can do so from the Gmail settings menu. We previously announced that we’re moving Chrome apps, like Gmail Offline, to the web. As part of this effort, we’ll introduce native offline support to EAP end users in the coming weeks. We’ll follow up with an announcement on the G Suite Updates blog when the feature becomes available. Native offline support will only be available to domains and users who’ve opted in to the new Gmail. At launch, it will be off by default for those domains, and admins will need to turn it on before it becomes available to their users. Please monitor the G Suite Updates blog for more information. 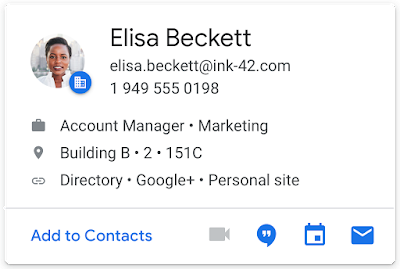 We recently launched new cards that surface user profile information when people need it most, right inside G Suite apps. 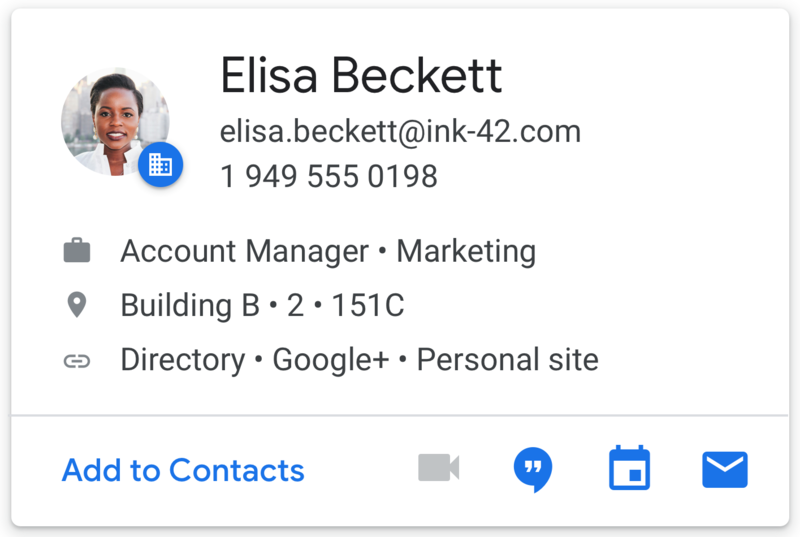 These cards will appear in the new Gmail, so we recommend uploading relevant information about your users to make the cards as useful as possible. For step-by-step instructions on how to populate these details, please visit the Help Center. The new Gmail will include a number of enterprise-friendly features that exist only as Gmail Labs in the classic UI. For example, you’ll see canned responses, multiple inboxes, preview pane, and more as permanent features in the new Gmail. Users will be able to access these features from the Advanced tab in their settings. Turn on the new Gmail EAP today. For more information, check out the resources below. We recently announced an Early Adopter Program (EAP) for the new Gmail. Below you’ll find additional details on the EAP, including how to opt in, the related Admin console settings, and the implications of certain features. If you haven’t yet checked out our post on the G Suite blog, we encourage you to do so before reading the information below.